Help us keep kids safe by providing low-cost helmets to families who can’t afford them. Safe Kids, PEDAL, and The Egg & I are teaming Up to raise money to purchase helmets for kids! 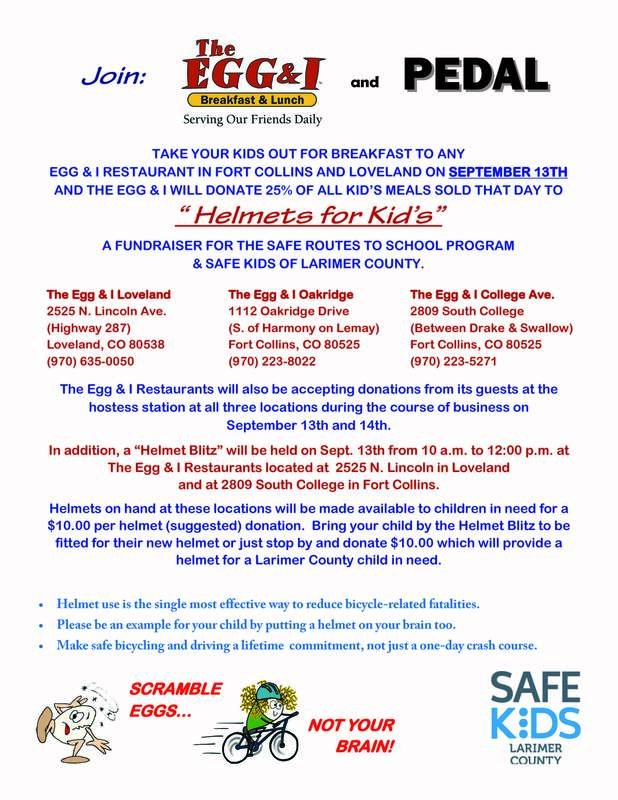 Helmets will be available for a $10 donation at the Loveland and College Avenue Egg & I locations on Saturday, September 13. You can also make a donation anytime you dine there this entire week.